The retreat of the glaciers in the last ice age, 11,000 years ago, may have been caused by the release of carbon dioxide, scientists said Friday. The finding has serious implications for climate change, the researchers said. A team of scientists led by researchers from Boston College examined over 1,000 previous studies into glacial boulders in order to produce a more accurate timetable for the glacial meltdown. They found that the rise in carbon dioxide levels was the primary factor in the retreat of glaciers all across the world. "Glaciers are very sensitive to temperature. 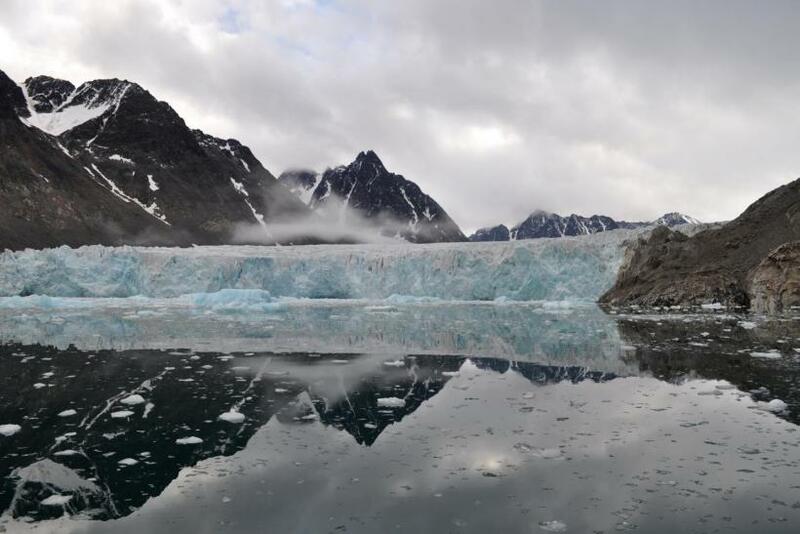 When you get the world's glaciers retreating all at the same time, you need a broad, global reason for why the world's thermostat is going up," Boston College's Assistant Professor Jeremy Shakun, the study’s first author, said in a press release. "The only factor that explains glaciers melting all around the world in unison during the end of the ice age is the rise in greenhouse gases." While previous research looked into the contribution from factors, including solar radiation, ice sheets and ocean currents, the team said that these were responsible for only regional variation in the rate of glacial retreat, and that the primary overall cause was carbon dioxide. The scientists said the research was especially relevant because human activity is causing carbon dioxide levels to quickly rise unnaturally. The results of their study were published in the journal Nature Communications. "This is a lot like today," said Shakun. "In any given decade you can always find some areas where glaciers are holding steady or even advancing, but the big picture across the world and over the long run is clear - carbon dioxide is making the ice melt." Shakun said that the rising rate of greenhouse gas emissions could accelerate the global meltdown of glaciers, and that their results added strength to the scientific consensus that warns that the world’s glaciers will see a dramatic retreat by the end of the century if no steps are taken. "This has relevance to today since we've already raised CO2 by more than it increased at the end of the ice age, and we're on track to go up much higher this century -- which adds credence to the view that most of the world's glaciers will be largely gone within the next few centuries, with negative consequences such as rising sea level and depleted water resources," Shakun said. Carbon dioxide levels rose from about 180 parts per million to 280 parts per million at the end of the last ice age. Current carbon dioxide levels are approximately at 400 parts per million. "This tells us we are orchestrating something akin to the end of an ice age, but much faster. As the amount of carbon dioxide continues to increase, glaciers around the world will retreat," Shakun said. Obama Methane Plan: Not Tough Enough?